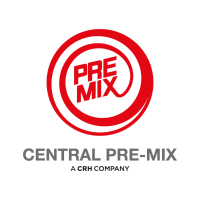 Central Pre-Mix Concrete Co., A CRH Company, values a culture of growth, development, and internal promotion. We are a dynamic, growth-oriented, national aggregate, asphalt, concrete, and construction family of companies. For over 80 years, we have worked to be the preferred source of quality rock products, concrete, asphalt paving, and construction services. We have been recognized by numerous organizations for our commitment to safety, customer service, and innovation. Current Class A CDL with self-certification of non-excepted interstate and current DOT medical card. Two years general driving experience in a commercial or construction setting highly preferred. Current member or able to join Teamsters Local #760. Demonstrates the ability to work in a safe manner as well as maintain a safe work environment. Demonstrates good internal and external customer service, communication, and organizational skills. Central Pre-Mix Concrete Co. is an Affirmative Action and Equal Opportunity Employer.